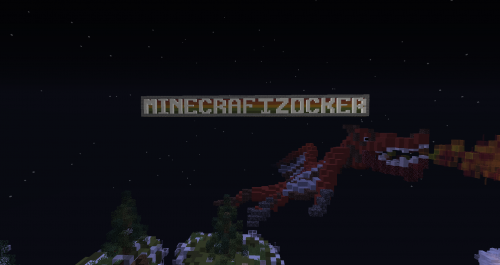 PLAY NOW Your Minecraftzocker Community. The longest running cracked Server out there! Join now and experience a vast amount of gamemodes including the original Skypvp. Become part of something great and enjoy our custom minigames with tons of Events, free Ranks and lots of other players to play with! We announce that a new event will be soon hosted on our server: Siege of Ba Sing Se! We have planned to play it for Saturday 27/4 at 5:00 p.m. (UTC+1) on our /server event! We announce that there's a new event incoming: Spleef! It will take place the 9th of March at 17:00 (UTC+1) on our server, be sure to join, so sign the date! Players will be given special shovels and will have to dig as much terrain as possible in order to make their opponents fall down! There will be 10 matches and the winner of each match will receive 1 EPIC CAKE! And yeah, if you are good enough and win more than once, the prize is cumulative! Get ready and mark the date because there's a new amazing MZevent the 2nd of February at 6:00 p.m. (UTC+1): Destroy The Flag!! We announce that there is a new event that will greatly start this 2019! The PvP tournament! like to have YOU help them out to put out even more awesome maps! Replied to a comment by Lynxan99 on Dartinq’s wall. Wrote a comment on Dartinq’s wall. Replied to a comment by The Duck on Koppazocker’s wall. Wrote a comment on Koppazocker’s wall. Will you make the 5th unban post? Or you are enough smart.